Ten Year Anniversary of Oak Ridge Boys & Session Drummer David Northrup and Nashville Trax! Yes it’s been ten years since David cut his first drum track here! Back then he was with Travis Tritt and also played occasionally for Wynnona Judd, Doug Stone, Tanya Tucker and others. Now he’s moved up to one of the hardest working and brest paying bands in Nashville, The Oak Ridge Boys! 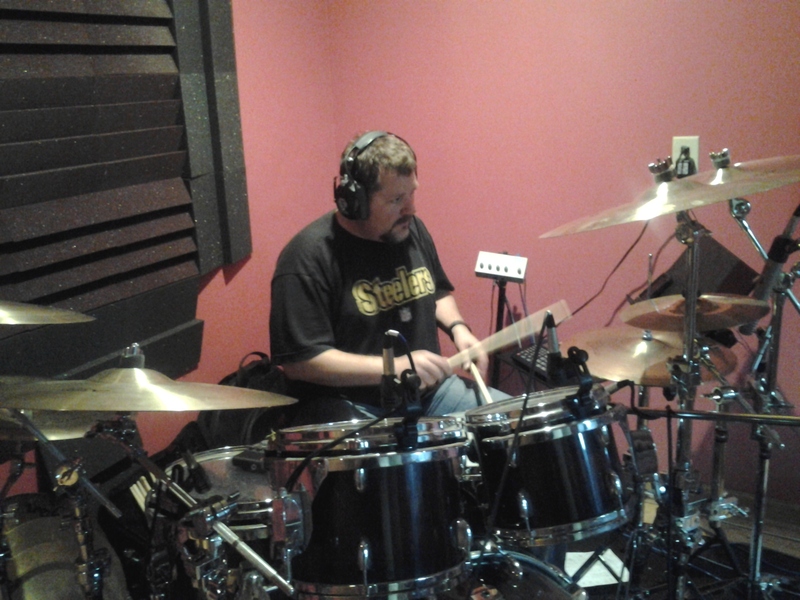 His drumming can be heard all over the Nashville Trax site. You can have him play on your rock, blues or country drum track over the Internet at Drum Tracks Online. How would YOUR song sound with a Nashville pro singing it? Awesome! Here are two tips, one specific, one general, that I think will move you a lot closer to your goal of writing great songs. Regardless of whether your audience will be friends and family; industry professionals, or your live show fan base, better songs is a good thing! 1. General first: We live in an age of specialization and a “winner takes all” situation. Many businesses have closed doors because they couldn’t get on page one of Google while their competition at the #1 spot raked in millions. The pro football player who specializes in shutting down the run on third downs and is the best in the world at it? He’s worth multiple millions of dollars yearly. The guy who is “almost as good” at that same thing is selling used cars in Buffalo. That “winner takes all” mentality applies to songwriting. Most hit songwriters specialize in one genre and focus all efforts on writing great tunes aimed at what’s currently playing on radio in that genre. They focus all their money on having superb demos cut that will get a song publisher’s or artist’s attention. If you write in multiple genres your knowledge of each type of music writing won’t likely go as deep. Meanwhile, your resources, be they time or money, will be divided. It simply is not a sound success strategy. Many times I’ve heard professionals here in Nashville say things like, “I studied country chord progressions thoroughly before I wrote my first country song.” or “I locked myself in a room for three months and studied shuffle beats.” What they did was study everything they could find on shuffle beats. How they started, how they evolved. studied great shuffle players, and didn’t stop until they thoroughly understood shuffle beats and how they’re used. You don’t have to lock yourself in a room, but I do think the more you study the songs of the genre you write in, the better you’ll get. Start with the roots of the genre up to what’s being played on the radio now. Study chord progressions; instrumentation; vocals; how harmony is used; song form; and the most important hits that changed the genre, pushing it in a new direction. 2. Here’s a specific tip for every song you write: Don’t force too many words in a line. What I’ve seen over and over is songwriters setting up a good, solid verse framework in verse one, but in verse two, or in the chorus, one or more lines are stuffed with too many words. The demo session singer starts complaining, “This line is too wordy, it’s like a tongue twister trying to fit it in.” It can also be a tempo issue. Many times I’ve realized a song would feel better up just a metronome click or two, but doing so creates that same tongue twister problem in a specific line. Do you have a recording of a song underway and would like to add acoustic lead guitar parts? We can do that for you via our over-the-Internet service Acoustic Lead Guitar Tracks Online! That’s it! When your acoustic guitar track arrives simply load it into your project and it will be ready to mix when you are. Samples of our work are available here: Acoustic Lead Guitar Tracks Over The Internet! Waves Bass Rider looks and ats identical to the vocal rider, it just operates at a different frequency. Don’t make the mistake of thinking that if you play guitar, you “can throw a bass part on too, after all it’s only bass, right?” Wrong!The bass guitar track is the most critical part of a recording. One quick and easy way to get a fantastic sounding bass track is to try this secret. It will give you great tone and an excellent performance without spending thousands of dollars to do it. Another way is to use a high quality instrument and put your bass through processing before it gets to the mixing board. While plugging in to the board direct gives passable results, and for a few tunes might even be the best choice, it will never have the huge, robust bass sound featured on most major label recordings. Bass players here at Nashville Trax use a variety of rigs but common to most Nashville session players is a quality bass guitar costing in the $1,000 and up range. Second, all bass players here use some sort of Avalon preamp before the signal is inputted to the XLR that routes to the mixing board. The 737 works well, but the Avalon U5 is THE bass preamp almost every session player has in their rig. When I play bass on a session I feed my Fender Precision or Washburn bass signal into the Avalon pre-amp. Sometimes I’ll use the compression built into the Avalon and sometimes I’ll use an outboard compressor. This provides the nice deep, tight, round tone needed and many songs and achieved by all session players. Often I’ll run a dual line through a bass guitar amp and put on a microphone on that so I’m recording two signals at once (of the same same part). This gives tone options at mixdown. After recording there is software made specifically for bass that I commonly employ during the mixing phase. The Waves”bass rider” plug in (see photo above) acting like an automatic fader rider, helps even out any volume fluctuations without further compressing the signal. Max Bass generates super deep bass signals not present in the bass itself that can be added as desired to the original bass signal to create a solid bass tone. EQ and additional compression are typically used, but note that if you’re happy with what you’re hearing and it’s working with the other instruments and supports the song, you may not need all these plugs. So should you play bass parts yourself? If you are really a bass player, not a converted guitarist who really doesn’t get the concept of the bass guitar’s function, I’d say no, don’t do it. The other caution would be that even if you are a great bass player, Nashville abounds with players who are awesome. play major label artist gigs and have a bass in their hands all the time but can’t break into the session scene because recording is an entirely different animal than live playing. So you may not be capable of delivering true session quality bass tracks. You wrote a song or you’re ready to produce a song but don’t have the right vocalist? 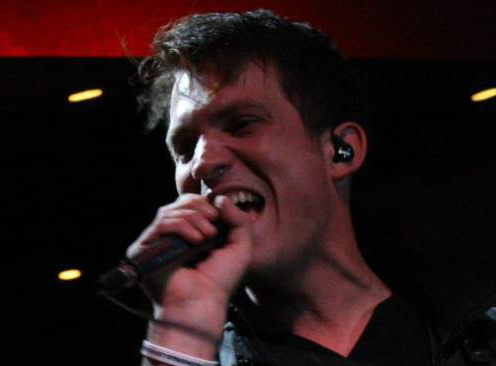 Try our Male Vocal Tracks Online service! Here you’ll find the correct male session singer to complete your rock, pop, Christian or country tune, right over the Internet! We know what you’re thinking: Isn’t Michael Jackson …. how do we say this….no longer with us? He just ordered two song demos, one titled Move On and another titled Four Bottles. The song roughs have provided a great direction we can run with and bring to fruition. Four Bottles in particular, has a great concept. We expect our music producer Bill Watson to start charting the week of 4-14 and have the rhythm tracks, vocals and overdubs recorded the following week. Actually these two demos are the fourth and fifth Michael has had us produce in the last six months. We do have to mention there’s a strong possibility that Michael may not be the same slightly more famous MJ who happens to share his name. Our studio session player is ready to cut your drum track! 3 songs are confirmed to be produced for songwriter Robert Cornacchio from Long Island, NY. and his two co-writers, James Hoffman and Rich DiGeorge. The roughs have Beatles and Pink Floyd influences but, as requested by the songwriting trio, we’re going to produce them with an eye toward the Nashville market. First up is a tune titled Alive- b.e. Update: Alive is finished. To hear how it turned out click here. A bridge is a brief section of a song that is different musically speaking, than any other section. It usually occurs just one time. A bridge lyric usually conveys new information, often with a different perspective. Example: If the song prior to the bridge is about “why we can’t be together in a love relationship” the bridge might take the position “now if things were different in this specific way, then maybe our love relationship could happen.” Meanwhile the bridge music might differ– a different chord progression, a quarter note feel instead of eighth notes, etc. So in most cases, we’re looking for contrast both musically and lyrically, from the rest of the song. That being said, sometimes the bridge simply drives home the point. It could have the same chords as the chorus and repeat a phrase from it. The idea is to hold the listener’s interest in whatever way best achieves that. What is the purpose of your bridge? If the song is under two minutes long adding a bridge to lengthen it might make sense. There are other options for lengthening, such as doubling the final chorus or adding a verse, so be sure a bridge is the best option. Some songs reach a point where the listener is starting to lose interest. Inserting a bridge can be a powerful way to re-interest bored listeners and pull them back into the song. Once again, there are other options: A breakdown section or an instrumental solo are two examples. Experiment to be certain the bridge is the best choice. Which comes first, the demo or the song? The Song! Before the demo, comes the songwriting process. While good songs can certainly almost write themselves, effortlessly pouring out in no time almost finished, they’re the exception. And when you’re stuck it’s good to have some tools to keep the writing process in motion. With a good system and writing formula, you’ll never suffer from writer’s block. Songwriter’s should get in the habit of recording potential song titles either in a notebook, iPad, cell phone, or whatever. If someone utters an interesting phrase, jot it down in your title list. If someone posts something clever on Facebook that might make an interesting song title, capture it. In most cases the song’s title is your hook or a big part of it. When you’re stuck, simply go through your list and pick the potential title you feel most interested in working with. Next write the verses. The verses usually benefit from differentiating them from the chorus. This can be done by altering the note values to double or half. 1. Visual image words, that is, words that evoke an image in the listener’s mind, rule. 2. Cleverness and literary techniques can make your lyrics grab the listener;’s attention, especially seasoned music industry professionals. Their antennas are always up for writer’s who understand song crafting. We went from one place to the next. Bland! Boring! We walked along the granite path to Deadman’s Road. Interesting! Intriguing! Why? Because walking a granite path evokes a visual image. Deadman’s Road sounds mysterious and brings up questions. Those questions need answered so they must listen intently to get them! Use literary techniques like word echoes, alliteration, inner line rhyme, anaphora etc. when you can as they will hold a listener’s interest. This would be a complete song but you could also add a pre-chorus before the chorus sections. Or you could add an instrumental solo.